Recent disclosures exposing the cover-up that protected President John F. Kennedy’s killers can help the public understand today’s oft-mysterious terrorism-related news. New books, declassified documents, and whistleblowers like Lee Harvey Oswald’s former Marine Corps bunkmate Jim Botelho bolster the already solid case that the Warren Commission deceived the public about Kennedy’s 1963 assassination and Oswald, the alleged assassin. Botelho, who became a California judge following his Marine service, is shown last month delivering his first speech ever about Oswald, whom he described as “the best roommate I ever had” and a nice guy who never could have killed the president, as alleged. The shocking tragedy of Kennedy’s death will remain important so long as the false accusations against Oswald obscure the real killers and their motives. From study of how official circles implemented and still maintain the Kennedy murder cover-up, we can better understand potentially similar misreported and under-reported situations today. That understanding requires, in turn, appreciation for how government commissions, news organizations, museums, and academic institutions actually work when handling super-sensitive national security matters. As one example, the late Time-Life Publisher Charles “CD” Jackson reigned in 1963 as the nation’s leading expert on psychological warfare, as a new book underscores, thus was not simply the publisher of the nation’s two most important magazines covering the JFK murder. After Kennedy's assassination, Jackson, fresh from a stint as national security advisor to President Dwight Eisenhower, used his Time-Life clout to acquire exclusive rights to the Abraham Zapruder film of the killing and to the memoirs of Oswald’s widow, Marina. This control allowed Jackson's Time-Life staffers and successors to suppress publication of both the film and memoirs, except for cherry-picked excerpts that could advance the Warren Commission’s false narrative. All this was part of the CIA’s Operation Mockingbird program whereby the leaders of 40 major magazines, newspapers, broadcast networks and wire services secretly worked in tandem (unbeknownst to most of their staffers and all consumers) to report the most sensitive news in a manner approved by the CIA and its Wall Street/private sector controllers. 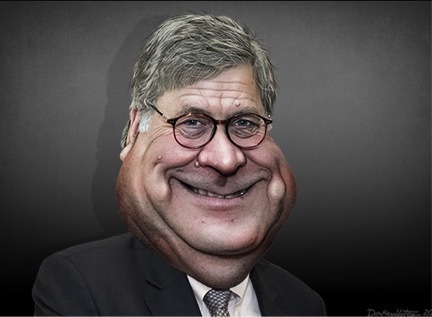 Scott delivered a speech last month, “Dallas and the CIA’s On-Going Culpable Obstruction of Justice,” that focused on specific ways the CIA helped orchestrate the JFK murder cover-up to perpetuate empire-building agendas of CIA rogue elements and their outside backers. Scott, speaking at the JFK Historical Group’s conference also featuring the former Oswald roommate Botelho, was careful to note in a scholarly manner several disclaimers that reduce culpability of the CIA as an institution. 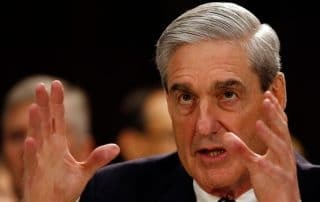 Scott’s caveats also tend to make what might seem to the uninitiated to be wild charges more credible and relevant to similar situations today. For one thing, he argues his belief that the Kennedy’s murder was not a CIA-run operation per se, as many researchers now allege, but instead an operation that include rogue personnel at the agency who worked without explicit approval by higher-ups. Additionally, he argues that the agency could not have operated without cooperation by rogue players at other important agencies, such as the FBI and Secret Service, and was motivated in its cover-up (assisted by Warren Commission member Allen Dulles, whom Kennedy had forced to resign from the agency in 1962) by a desire to hide deep operational secrets, not simply protection of murderers. 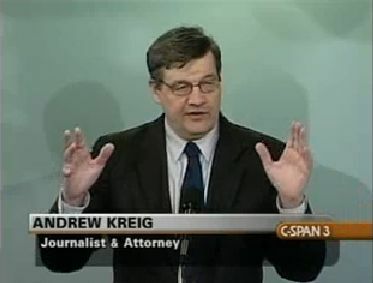 Whatever those motives, which may be resolved more clearly if the CIA and next president release remaining CIA secret documents in 2017 as required by the 1992 congressional “JFK Act,” Scott credibly argues that the murder and its cover-up set a damning precedent for a “Deep State” of hidden, extra-constitutional government ever since. Today, we suggest that knowledge about such events and their implications is the first step to prevention and reform. Does this sound implausible? Read on. You’ll learn more about how modern propaganda works. We begin with specifics. This follows the suggestion this week of the new secretary of the Smithsonian Institution, Dr. David Skorton, a cardiologist by training who recommended in a compelling lecture lecture at the National Press Club that would-be problem solvers-use an evidence-based scientific method. Aside from the logic of his position, its inclusion here serves two other purposes. 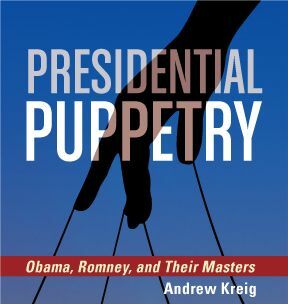 One is personal gratification that such a useful formula would be provided by the former president of Cornell University, where this editor began studies in both history and investigative reporting long ago. Additionally, the problem of museum complicity in false history is quite serious and hopefully might come to Skorton’s attention, as described further below. With that ambitious agenda, we let's start with Botelho, the former Oswald roommate at the El Toro base. Our format is to introduce new information and then describe why it typifies suppressed information in a process frequently repeated regarding sensitive matters, including current self-censorship. Botelho spoke out for the first time last month, aside from a 1964 statement to law enforcers. He told a conference in Dallas that the Oswald, shown in a file photo, was a good Marine and otherwise loyal American who never would have undertaken a traitorous action. Federal authorities took a bland sworn statement from Botelho in 1964 but did not include it in the Warren Report. Many witnesses, prospective witnesses, law enforcers, and other experts have reported that the commission and its staff focused almost entirely on obtaining evidence that could suggest Oswald’s guilt and repeatedly ignored evidence pointing to other suspects. Among other speakers at the Dallas conference run by the JFK Historical Group were James C. Jenkins, one of the two Navy corpsmen who served as autopsy technicians and assisted the Navy pathologists at President Kennedy’s autopsy at Bethesda Naval Hospital on the evening of November 22, 1963. Jenkins said, as reported also in the 2015 edition of the book In the Eye of History, the late president’s head wounds convinced him that he had been shot from two different directions but that he, like other members of the autopsy team, were tightly controlled by high ranking officers for autopsy procedures and reports. Scott’s focus was on the documented lies of CIA Director Richard Helms to Warren Commission and later congressional investigators. I want to talk tonight about how Richard Helms first lied to the Warren Commission and then perjured himself before the Commission. Like everyone else, I have my own beliefs and theories about the assassination. But tonight I think it will be more useful to concentrate on these indisputable facts. As I relate in my book Dallas ’63: The First Revolt of the Deep State Against the White House, there was culpable cover-up from others, including individuals in the FBI, the Secret Service, ONI, and probably still more military intelligence agencies. At one point even the Mexican government participated in this high-level cover-up: It supplied when needed a falsified bus manifest and later a falsified version of its statement taken from Cuban Consulate official Silvia Durán. This series began in 2013 with neutral treatments of books, films and events regarding the 50th anniversary of the JFK’s killing and the 1964 Warren Report. The commission chaired by Supreme Court Chief Justice Earl Warren stated that Oswald acted alone to kill Kennedy with three gunshots from rear in Dallas. In one if its most easily disproved findings, the seven commissioners also stated that nightclub owner Jack Ruby had no connections to the mob before he fatally shot Oswald at the Dallas police station. Conferences and books timed for the fall anniversary of Kennedy’s death provided a wealth of new material, as do the continued courage and civic commitment of ordinary citizens who resist official indifference to the crime of the century. As one example virtually unreported anywhere, former California judge Jim Botelho told a rapt audience in Dallas last month that he never believed his former Marine Corps roommate Lee Harvey Oswald was either a traitor or a killer based on their two months together at the El Toro base in California. Botelho, shown in a Justice Integrity Project photo and speaking for the first time publicly, described Oswald as quiet, pleasant, and patriotic bunkmate. He said he and his fellow Marines suspected that Oswald was part of a U.S.-created spy program when they received news in the fall of 1959 that he had “defected” to the Soviet Union shortly after leaving the Marines. Mainstream media silence about the ongoing parade of JFK assassination whistleblowers, books, and declassified documents reminds Americans of that even the most avid news consumer will have difficulty understanding terrorism without straight talk from sources who earn our trust. It's not easy to find trusted experts. The U.S. government has consistently misled the public about the killing, as indicated by recent disclosures that point to pervasive influence in a cover-up by the CIA and other officials in politics, law enforcement, business and other institutions. We can extend those lessons to current affairs, particularly the counter-terrorism policies touted by the same government institutions and private sector opinion-leaders complicit in the Kennedy cover-up. Space does not permit this column to address those current events in detail today again, as we have in the past. But a glance at our news round-up indicates the many relevant questions lingering over NATO’s anti-ISIS effort, its covert war against Syria’s government, and the official chronology of several recent terror attacks while Congress stonewalls on releasing its own 2002 joint House-Senate report identifying the funders of the 9/11 attacks. Assassination and Commemoration: JFK, Dallas, and the Sixth Floor Museum at Dealey Plaza. Stephen Fagin. John F. Kennedy's Head Wounds: A Final Synthesis and a New Analysis of the Harper Fragment. 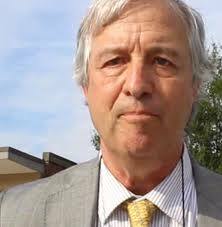 David W. Mantik, M.D. Where Angels Tread Lightly: The Assassination of President Kennedy, Volume 1. John M. Newman, Ph.D.
JFK from Parkland to Bethesda: The Ultimate Kennedy Assassination Compendium. Vincent Palamara. In the Eye of History. Disclosures in the JFK Asassination Medical Evidence. William Matson Law. 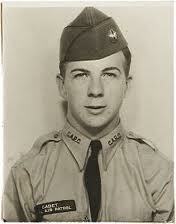 Disciples: The World War II Missions of the CIA Directors Who Fought for Wild Bill Donovan. Douglas Waller. Armed with his persistence, his intellect, and his densitometer, Dr. Mantik has laid siege to some of the most confounding medical evidence in the National Archives, and, as JFK’s Head Wounds: A Final Synthesis and A New Analysis of the Harper Fragment shows, has finally brought order to the chaos there. He has exposed the JFK skull X-rays as the forgeries they are, has shown that a transiting “throat” wound would have inflicted damage to JFK’s vertebral column, has finally oriented the puzzling F8 autopsy photo correctly, and has-hopefully-ended the long debate over the location of the important Harper Fragment, returning it to the place where all medical personnel who ever saw the bone itself, knew it belonged. All this in two hundred pages of insight, research and rebuttal, heavy stuff made comprehensible and readable by Dr. Mantik’s style and self-deprecating humor. Clearly, Mantik’s work has cut to the truth, and stands as a fitting tribute to the JFK medical researchers who find here the vindication of much of their earlier work. The John F. Kennedy Autopsy X-rays: The Saga of the Largest "Metallic Fragment"
By David W. Mantik, Ph.D., M.D. Dr. David W. Mantik has once again demonstrated his keen intellect and analytical skill by combining his educational knowledge in physics with his extensive experience and acquired expertise as a radiologist to meticulously re-examine the 47 year old controversy regarding JFK's skull X-rays. As a forensic pathologist who has performed approximately 20,000 autopsies and reviewed/supervised approximately 40,000 additional autopsies, it is very difficult for me to comprehend how all the pathologists, radiologists, and technicians involved in the autopsy performed on November 22, 1963 could have failed to observe a 6.5 mm. "metallic" fragment in both the dissection of Kennedy's calvarium and the skull X-rays. Mantik's detailed review reinforces the long-standing serious doubt about the validity of this Clark Panel finding in 1968 that has been expressed by knowledgeable WCR critic-researchers since it was disclosed. It would be fascinating to see how this incredible radiological-pathological conflict would be dealt with by the two respective (i.e., 1963 and 1968) groups of WCR medical teams in a court of law. Washington Post, Obama warns of ‘new phase’ in terror threat, vows to destroy ISIS, David Nakamura, Dec. 6, 2015. In a rare prime-time address from the Oval Office, the president sought to reassure an uneasy nation, saying "we will prevail by being strong and smart, resilient and relentless." Annotated transcript of Obama’s remarks. Washington Post, Obama’s Oval Office address reflects struggle to be heard, Greg Jaffe, Dec. 6, 2015. In addressing the nation Sunday evening, President Obama turned to a venue he doesn’t like to discuss a subject he would rather avoid. His decision to speak on the terrorist threat from the Oval Office, just days after the deadly attack in San Bernardino, Calif., reflects a broad concern in the White House that the American people, distracted by the overheated cacophony of the campaign season, are not listening to him. Or at least they are not hearing what he has to say. Skorton, 66, who took the helm of the Smithsonian on July 1 after a career as a cardiologist and educator led him most recently to the presidency of Cornell University, noted the emphasis by schools and governments on science, technology, engineering and math, an emphasis he said has come at the expense of the humanities. 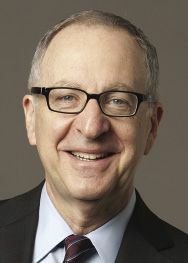 “To understand what it means to be human and to understand the complex problems that the world now faces require us to deploy every technique of understanding at our disposal, including and especially those at the heart of the visual and performing arts, social sciences and cultural studies,” said Skorton, shown in a Cornell photo. Questions from the luncheon audience focused on the Smithsonian’s 19 museums and zoo. MailOnline US, Granddaughter sues for $10 million over her grandfather's JFK assassination film 'lost' by government investigators, Associated Press and Belinda Robinson, Nov. 23, 2015. A Texas woman said that she's suing a federal agency to force the return of a film shot by her grandfather that shows a portion of the 1963 assassination of President John F. Kennedy. Gayle Nix Jackson, who lives in the Fort Worth area, is seeking $10 million in compensation for the film shot by Orville Nix on November 22, 1963. In the days after the killing, he gave the film to the UPI news agency with the understanding that after 25 years it would be returned to the family. Dallas Morning News, On 52nd anniversary, Dealey Plaza visitors reflect on JFK assassination, Adam Schrader, Nov. 22, 2015. 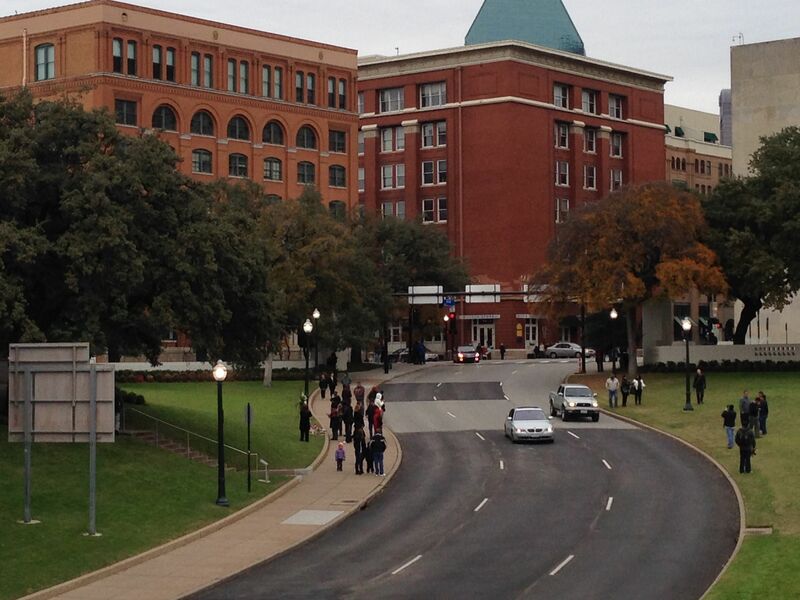 Dealey Plaza welcomed a small crowd of conspiracy theorists and tourists Sunday, as usual. Most visitors said they were unaware it was the 52nd anniversary of President John F. Kennedy’s assassination. But many said the assassination profoundly affected their lives. North of Elm Street, Beverly Oliver led a group in the national anthem, and a moment of silence marked the 12:30 p.m. shooting. Oliver, a controversial figure in the assassination research community, claims to be “The Babushka Lady” featured in several photos of the incident. Clark Phillips, 60, was one of the conspiracy theorists attending the memorial ceremony. He was in third grade the day of the assassination. 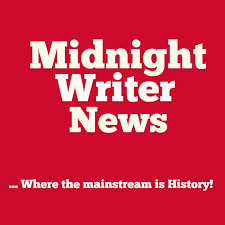 WhoWhatWhy, The Mystery of the Constant Flow of JFK Disinformation, Russ Baker and Milicent Crano, Nov. 24, 2015. For decades, the mainstream media have been promoting, mostly through TV specials, the government-approved story of John F. Kennedy’s assassination. But those who were inclined to believe it before may have become more skeptical, ironically, because of these shows, most of which have been slick infomercials using junk science. And each one just provides more embarrassing evidence of a cover up. Below, we present a small sample of this mind-opening evidence, along with an essay that explores the mystery of why these attempts keep coming. WhoWhatWhy, The CIA, Mafia, Mexico — and Oswald, Part 1 of a six-part series of Peter Dale Scott book excerpts, Nov. 22-27, 2015. 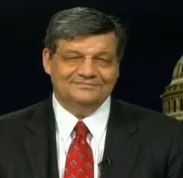 Russ Baker introduction: When John F. Kennedy was assassinated on November 22, 1963, the United States lost more than its president. It lost its innocence. The subsequent investigations into the young president’s killing raised more questions than they answered — and caused Americans to lose faith in their government. Indeed, for many people in the US and across the world, the assassination marked the point at which their fundamental perceptions changed. Just after the Warren Commission released its report on the assassination, the level of public trust in government was at 77 percent. A decade later it had plummeted to less than half that (36 percent). Kennedy’s death and the circumstances surrounding it gave birth to a movement. This movement, composed of all kinds of people, is dedicated to investigating the story behind the story, to exposing the power networks hidden beneath surface events. 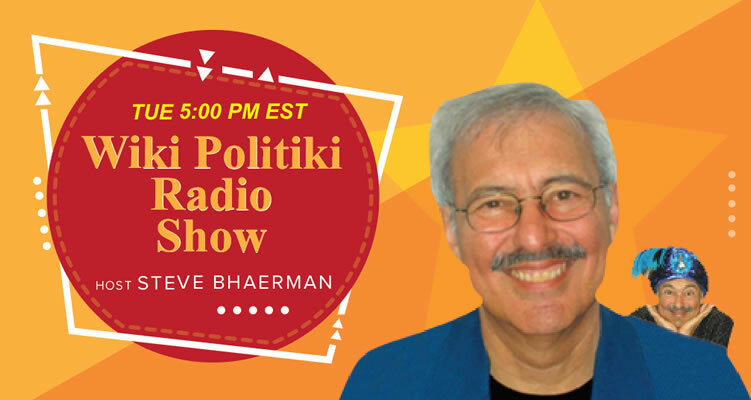 These machinations have been dubbed “Deep Politics.” Those who study it believe there is much more to national and world events than what the public is told by government officials and evening newscasters — and, as you will see, Peter Dale Scott proves it. On the occasion of the anniversary of Kennedy’s assassination, WhoWhatWhy is pleased to present excerpts from Chapter 2 of Scott’s latest work: Dallas ’63: The First Deep State Revolt Against the White House by Peter Dale Scott (Open Road Media, September, 2015). For Part 1 of this series, please go here; Part 2, go here; Part 3 go here; Part 4 go here; Part 5 go here; Part 6 go here. OpEdNews, The JFK Case: The Twelve Who Built the Oswald Legend (Part 7: The hand-off from De Mohrenschildt to the Paines), Bill Simpich, Oct. 22, 2011. When Oswald and his family returned to the Dallas-Fort Worth area from the Soviet Union, they knew that they had make contacts if they were going to put food on the table. Dallas oilman/spy George de Mohrenschildt became a benefactor to the Oswald family, providing them with money and contacts after their return to the US from the Soviet Union. 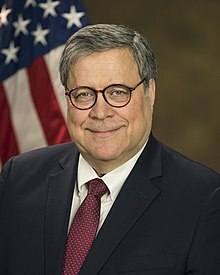 De Mohrenschildt's lawyer Max Clark was also General Dynamics' industrial security consultant and a leader within the White Russian community. Oswald contacted Max Clark's wife shortly after his return, explaining that the Texas Employment Commission had referred her to him as a Russian-speaker and that his wife would like to spend time with another Russian-speaker. 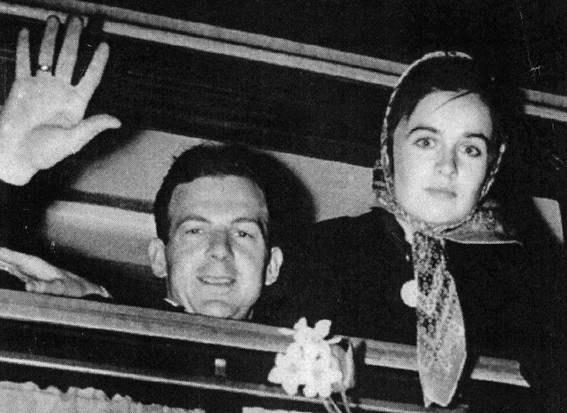 Oswald had legend makers precisely because he and his wife presented a perceived threat to national security. 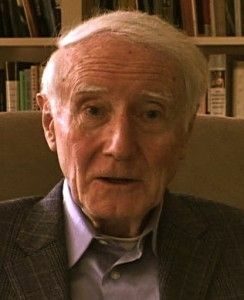 De Mohrenschildt visited and exchanged cards and letters with CIA official J. Walton Moore on a regular basis during the fifties and sixties. Moore wrote a memo in 1977 claiming that he only met de Mohrenschildt twice, in 1958 and in 1961. Moore's hazy memory on the number of visits was exposed by the House Select Committee on Assassinations. De Mohrenschildt revealed a few hours before his death that Moore took him to lunch in late 1961, and described to him an ex-Marine in Minsk in whom the CIA had "interest." In the summer of 1962, an associate of Moore suggested that de Mohrenschildt might want to meet Oswald. De Mohrenschildt then called Moore, suggesting that suitable payback would be a little help by the State Department with an oil exploration deal in Haiti. OpEd News, The JFK Case: The Twelve Who Built the Oswald Legend (Part One: Mother, Meyer, and the Spotters), Bill Simpich, Aug. 22. 2010. With millions of documents released in the years since the JFK Act was passed in the nineties, the intelligence backgrounds of the twelve who built the Oswald legend have come into focus. A legend maker can range from a "babysitter" who just keeps an eye on the subject to someone handing out unequivocal orders. I count twelve of them, and I'll tell you about them here in this series of essays here.